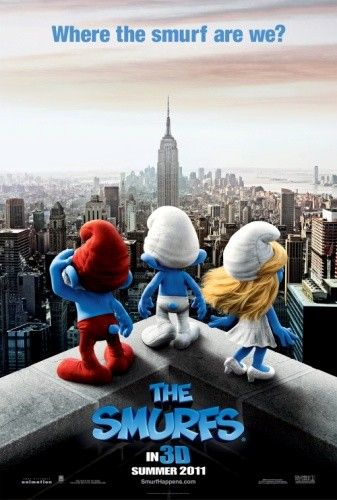 The first poster for the live action CG hybrid film, The Smurfs, asks “Where are we?”, and features Papa Smurf, Smurfette, and a yet to be named Smurf. I can’t really tell what the third one looks like, because all blue people look alike to me. My only question about this film, is can it separate itself from all the other live action CG hybrids out there? With a solid cast behind it, plus the always affable Neil Patrick Harris leading the way, it might have a chance of being the best of the films. Check out the new poster below, and let us know what you think in the comments below!